A brief update. Yesterday, Monday, they poured the garage concrete pad for the second time. The forms will stay on until Wednesday morning, and hopefully, this will give the concrete ample time to cure and not stick to the forms during removal. 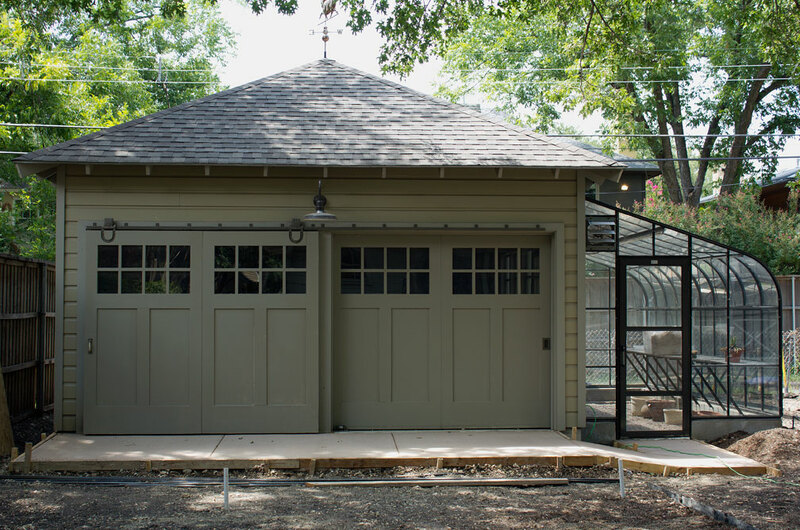 note: If you notice a little square of exposed dirt between the garage and the greenhouse, this was deliberately designed to help absorb the runoff during a rain storm and to avoid water draining into the greenhouse. You have a great designer, Patsy Ann. Elegant, smart designs meant to be functional are few and far between. I’m excited to see your progess.